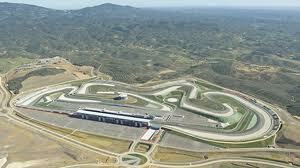 The Algarve Motorpark near Portimao was opened to the public in 2008. Designed to be a modern raceway with a variety of different configurations ,it already hosts World Superbike and FIA GT world championship events. The track has proved to be a favourite with teams looking to test out of race season, due to the Algarves all year round benign climate. Open to the public, you can arrive and have a tour of the track or use the karting circuit. For those who plan in advance the track also has many track events such as race schools and track days that can be viewed and booked on their website.